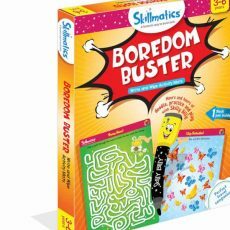 Skillmatics Boredom Buster is the perfect companion to keep little ones occupied. The highly engaging activities are carefully designed to ensure that children practice key concepts while having loads of fun! 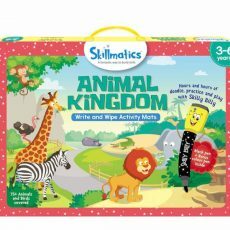 This holistic pack is perfect to keep children engaged for hours at end! 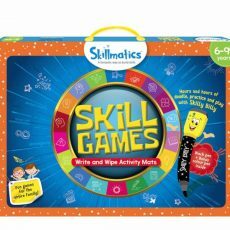 Skillmatics Brain Games will teach your children to use a ‘think and reason approach’ when faced with challenges. Our activities are designed to build logic and problem solving skills through fun learning methodologies! 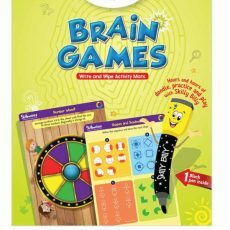 Suitable for all ages, Brain Games is filled with innovative content that promises to be equally engaging for both children and parents! 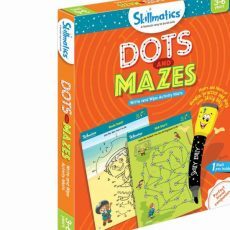 Dots and Mazes is the perfect pack for building visual, tracking and observation skills which improve a child’s reading abilities. 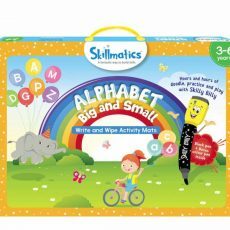 This pack also improves a child’s memory through activities that involve recalling the sequence of letters and numbers as well as by matching pairs. 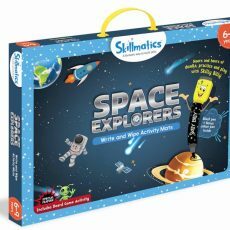 A great travel companion, this pack is perfect for engaging your child while on the go! 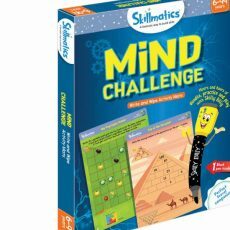 Skillmatics Mind Challenge is a fantastic way to build logic and problem-solving skills! 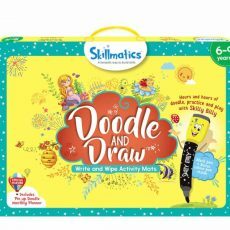 Suitable for all ages, this product is filled with super fun activities which will test your mind and engage you for hours at end! A great travel companion, this product promises hours of fun for friends and family! 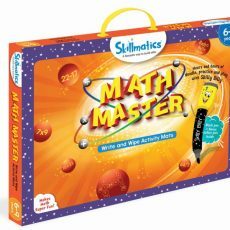 Skillmatics Premath and Numbers is the perfect tool to build a strong foundation for learning math. 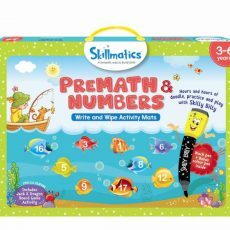 Our activities progress from simple ones such as ‘understanding shapes’ and ‘recognizing patterns’ to more challenging ones such as ‘learning numbers’ and ‘counting’. Watch out for our Jack & the Dragon Board Game Activity, which promises to make learning 1-50 a lot more fun!